Model with one dual dvb-c/t2 cable/terrestrial tuner. The new DM920 ultraHD is simply packed with superlative features: variable tuner configuration with FBC and Multistream based on an innovative Broadcom chipset, two CI slots that can be used in parallel, 8 GB flash memory as well as an HDD slot that holds all types of 2.5 inch HDD units. You won’t find more high end for significantly less than 400 Euros anywhere. The new DM920, which has been expected for a long time, will be launched into the trade in early December. Two tuner slots on the rear panel of the new Dreambox flagship provide hitherto unknown flexibility in terms of TV reception. The DM920 is available in different versions: equipped with a twin tuner for satellite reception, respectively with the hybrid DVB-C/T2 tuner for the reception of digital cable and DTT. The new Dreambox DVB-S2X twin tuner with FBC technology for parallel access to as many as eight transponders will be made available at the same price. The tuner is based on the Broadcom chip BCM45308x, and is the first receiver on the market to use this chipset. The second plug-in slot provides many options of combinations with the wide-ranging series of tuners for the Dreambox, to which a DVB-C tuner with FBC support will be added shortly. This unique variability continues seamlessly with the front panel CI slots, which are based on integrated FPGA technology, allowing them not only to be allocated to the appropriate receiver sections independently of each other, but also to provide parallel usage as well. Once again, the Dreambox DM920 ultraHD sets new standards for the technological performance of Linux-based set-top boxes. And that is not all, by far: compared to the predecessor model, the flash memory is twice as large in the DM920, the 8 GB provide sufficient capacity even for future applications. The HDD slot on the rear panel can accommodate 2.5 inch hard drives, and additionally provides a height of up to 15 millimetres, which will fit all commercially available 2.5 inch heard drive models, including special sizes. In spite of this tremendous range of features, the DM920 ultraHD retains the compact dimensions of its predecessor. The futuristic design in a black chassis with a on/off touch sensor and large colour LCD on the front panel has long since established itself as a brand characteristic of the visionary 900 series. 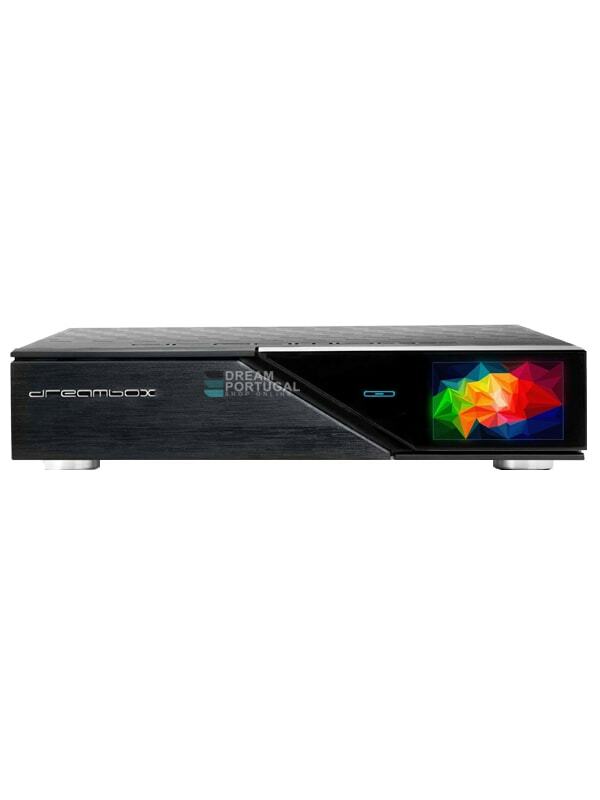 The DM920 ultraHD underlines the status the Dreamboxes hold as the innovative receiver solution for digital video.